On Friday, March 26, Washington Gov. 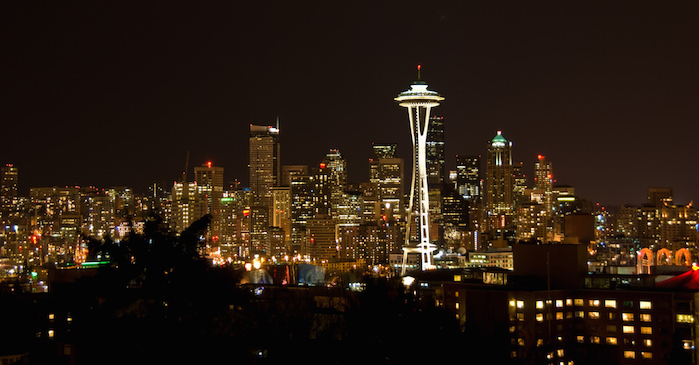 Jay Inslee signed a supplemental state transportation budget that includes what may well be the first ever mention of light pollution to make it into state code. The transportation budget may seem an odd place for such policy matters to be considered, but state Rep. Jessyn Farrell (D-Seattle) found an opportunity there. Farrell had that directive inserted into the budget as a proviso – see Seattle Astronomy’s blog post for the exact language. As a proviso in the supplemental budget, it will only be in effect for about a year. Farrell said she plans to work next year on getting the department to make an on-going commitment to considering light pollution in its planning and operations. She said it might not even take legislation, but that the department could be convinced to make such considerations of its own accord. Farrell sponsored a bill this year to have the state Department of Ecology do a comprehensive study of the effects of light pollution and to make policy recommendations for reducing it. While the bill received a hearing, it did not win approval from the House Environment Committee. Farrell said cost was the main hangup. The legislature has been ruled in contempt of court over education funding, and is still in special session trying to wrap up the operating budget, which is under a great deal of strain. “There was a great concern in doing anything that was perceived as extra in the general operating budget this session,” she said. She saw the DOT funding as a way to make some progress without making it a budget issue. Farrell said she has long been interested in the night sky, and remembers not having to go very far to see things like the Perseid meteor shower. “It is really a lot harder to see even really visible events like that, and I think that what’s interesting about light pollution is that its really something that we can address,” she said. She credited the amateur astronomy community for stepping up, noting that it was a constituent, David Dorais, who raised the issue at a community forum and spurred her to action. A version of this article originally appeared on the Seattle Astronomy blog. A big thanks to the article’s writer Greg Scheiderer for letting us reproduce it.